That's the first episode that caught my eye. All my life I been watching villain lost to the justice or hero. But this is totally different. First episode wow ok like a typical setting they fight the monster and won and the characters are likable but guess what happen booo (spoiler). Ended with that saying. Then I continue to watch second episode, this time i guess it will be different. However it is still the same. And i continue to watch, actually its the prequel of the manga called ga rei. The manga is also quite nice. The anime makes the manga more deep because we now know the past of the characters. Well, the only thing that annoyed me is fanservice in the show. But overall is superb. Its make you wanna root for the villain. Ho pe they will make a season2. 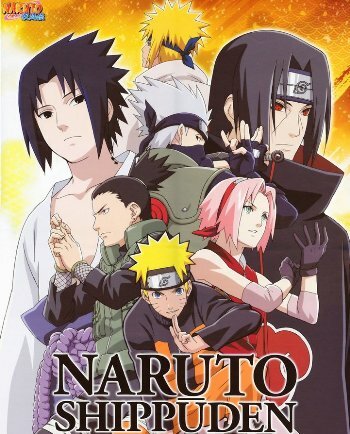 You must be surprise why Naruto is my top 5 despite its got many flaws and being long story. Well, Naruto is great if not it wont be in No.1 in both manga and anime till now. The reason is simple I got addicted to anime because of Naruto show. 8 years ago, I didn't study much for my physics test and trying to cramp for the test next day. Around midnight, I went down to kitchen to drink milo and I opened TV and Naruto is airing, well i got sit down and watched for awhile, coincidentally naruto tachi are also having exam and let's just say all he did and all he is thinking is similar to me and it was really fun. From then on I start watching Naruto till now. I was really crazy about Sasuke. I still remember I skipped my Biology class just for the show and I record the shows and I even learned Chinese so that I can understand as its in chinese dubbed version (cuz its from Chinese Star TV Channel). In Naruto SO many things I dislike especially in Naruto Shippuden. The first season Naruto is good. 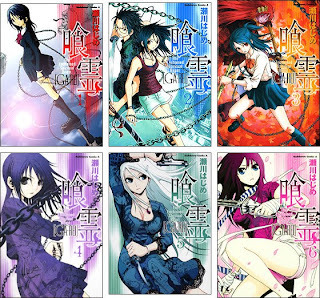 The soundtracks is one of the best in shounen for sure. Only FMA and Fairytail can compete in soundtracks. Other shounen soundtracks are out of ratings ( No good at all). Naruto also got many Opening and ending songs. The story line is differentiated from the rest of shounen as its about a bond between two friends. They got many sad moments and character setting are good except for the girls. Well the mangaka is confessed that he don't understand girl characters. Not like a bleach which is a copycat of dragonball (I've got proof). Anyway for those who like to watch a good shounen, then can go for Naruto. 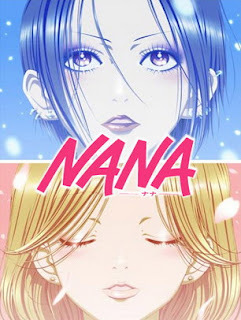 The master piece of mangaka Ai Yazawa is called "NANA". PLOT: Nana Osaki is a punk singer who wants to debut with her band, Black Stones (BLAST for short), where she is the lead v ocalist.She eventually leaves for Tokyo at the age of twenty to start her musical career.Nana Komatsu, the other Nana, has a habit of falling in love at first sight all the time, and depending on other people to help her. When her friends, and then her boyfriend, leave for Tokyo, she decides to join them a year later after having saved enough money at the age of twenty.The two Nanas meet on a train by chance, both on their way to Tokyo. After a string of coincidences, they come to live together in an apartment numbered 707 (nana means "seven" in Japanese). Despite having contrasting personalities and ideals, the Nanas respect each other and become close friends.The story of Nana revolves heavily around the romance and relationships of the two characters as one seeks fame and recognition while the other seeks love and happiness. The way the mangaka crafts the story is amazingly well done, it will grab your interest till the end. Got many nice insert songs and soundtracks. Plus all the char are not perfect and YAZAWA can write them perfectly. Not many author can write that believe me. If you like romance, and also not a shoujo type then here it is. You won't find a good story like this in ages. Too bad, the mangaka got sick for 1.5 yrs and the manga has not progressed till now. The story of Gin Tama takes place in Edo (known today as Tokyo because of its name change in 1868), Japan, which was conquered by aliens called "Amanto" (天人?, "Sky People") in the late Edo period. The samurai of Japan fought the aliens, but after their defeat the Amanto placed a ban on carrying swords in public. The plot is focused on an eccentric samurai, Gintoki Sakata who helps a teenager named Shinpachi Shimura save his sister Tae from a group of aliens who want to make her part of a brothel. The two of them rescue a teenage alien girl named Kagura from a group of Yakuza who wanted to use her superhuman strength to kill people. 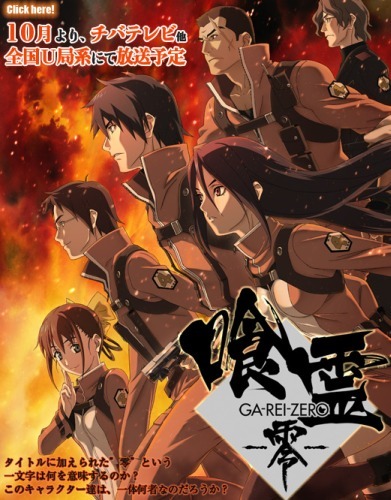 Kagura joins Shinpachi and Gintoki to work as freelancers and the three become known as "Yorozuya".Although the series' story is commonly episodic, there are also a few story arcs which are developed through several chapters. Hideaki Sorachi's main focus in Gin Tama is the use of gags; during the manga's second year of serialization he started to add more drama to the story while still keeping the comedy. Various jokes from the manga are comments regarding clichés from other shōnen series. The MC is laid back and easy going which is different from most shounen shows. 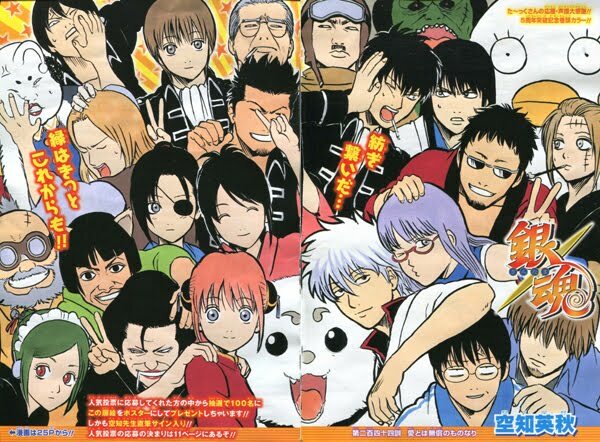 The main reason Gintama is my no.2 is simple it makes me laugh my guts out. None of the show can make me laugh like that till now. Sometime my stomach hurts from laughing so hard. There is no favorite characters for me in this shows as I love them all. Well of course, if its just a comedy I don't think it will be in my top 5. They have lots of good story in the shows. Most of them are slice of life, and family relationship. I think to fully enjoy the shows you must have quite a wide range of knowledge of anime and stuffs. If not you won't be able to enjoy much like us as you don't quite get what the meaning is. In summary, when you feel down, stressed, and wanna have a good laugh then you should give it a try. It won't disappoint you. To tell you the truth, this show is not the best best show or super awesome show. It is not funny, not slice of life, no romance, no fan service and not epic . Then why do I love it so much even now it is still a mystery for me. Maybe the protagonist and I share the same name LOL. Well I will just say some of the reasons why I like Claymore: First, it's unique in a totally different way and refreshing and perfect for those already bored with usual Shounen story stuff. Second, Claymore characters don't rely on blasts of energy beams (like kame-hame wave, rasengen or bankai) and transform into some mahou shoujo to do the fight scenes. They can pull it without firing flashy bursts and jets of light incorporated with elemental magic! They do the fighting old school! And lastly, the drama is not as annoying compared to other immensely popular anime/manga's drama side (In my point of view). 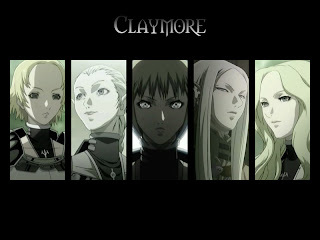 Claymore is an exciting, action-packed show with a well thought out premise. The artwork and character designs are beautiful. However Claymore ends on a cliffhanger, leaving major plot threads hanging.This is not to say that the ending is handled badly. In fact, for a series that is dedicated to following the manga's plot, the ending of Claymore is handled quite well. It ends at a logical point, at the climax of a major story arc, rather than in the middle of an arc like other series I could name. And it does tie up a number (but certainly not all) of the major and minor plot threads. Still, it was a disappointment to see the otherwise excellent series end without a true conclusion. 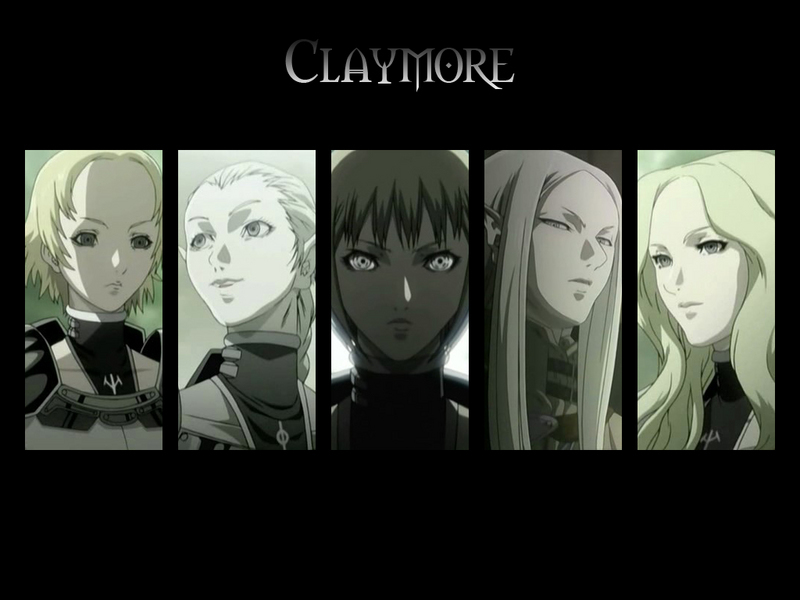 If you're looking for a more mature and, dare I say, sophisticated anime that is still at its heart an action series, Claymore is definitely worth a look. Definitely not for the kids. Extreme violence and adult sexual themes limit this to the older teen crowd and up.